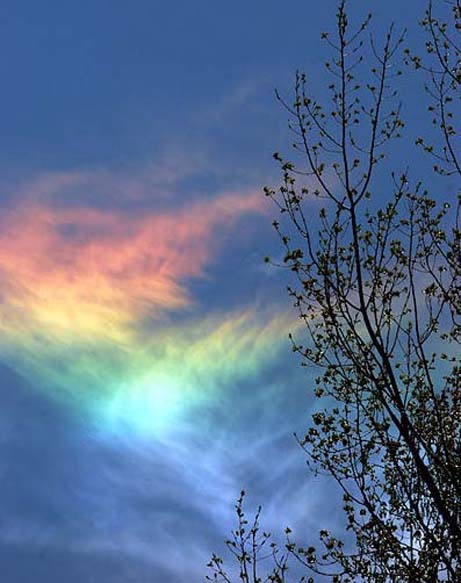 These are Fire Rainbows — the rarest of all naturally occurring atmospheric phemonema. 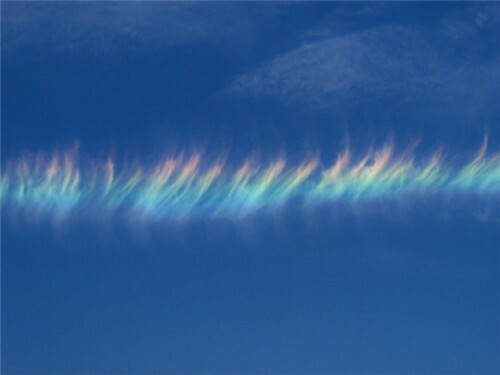 It looks like a rainbow on fire, but this phenomenon is as cold as ice. 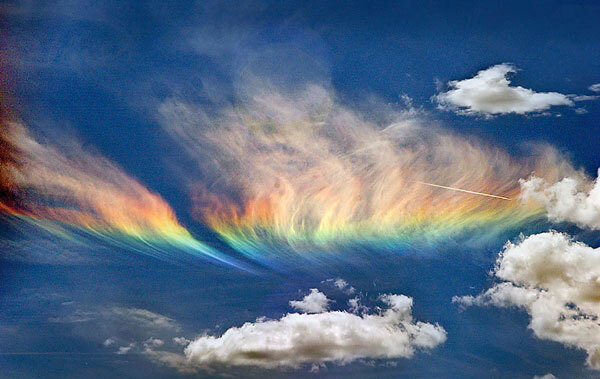 Known in the weather world as a circumhorizontal arc, this isn’t a rainbow in the traditional sense—it is caused by light passing through wispy, high-altitude cirrus clouds. 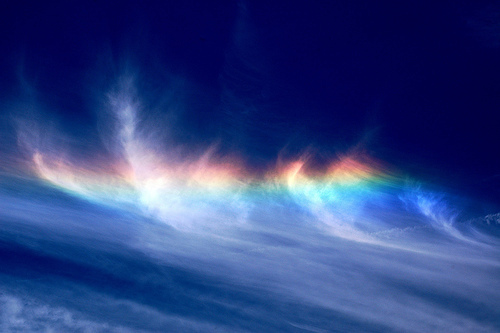 What’s more, the hexagonal ice crystals that make up cirrus clouds must be shaped like thick plates with their faces parallel to the ground. 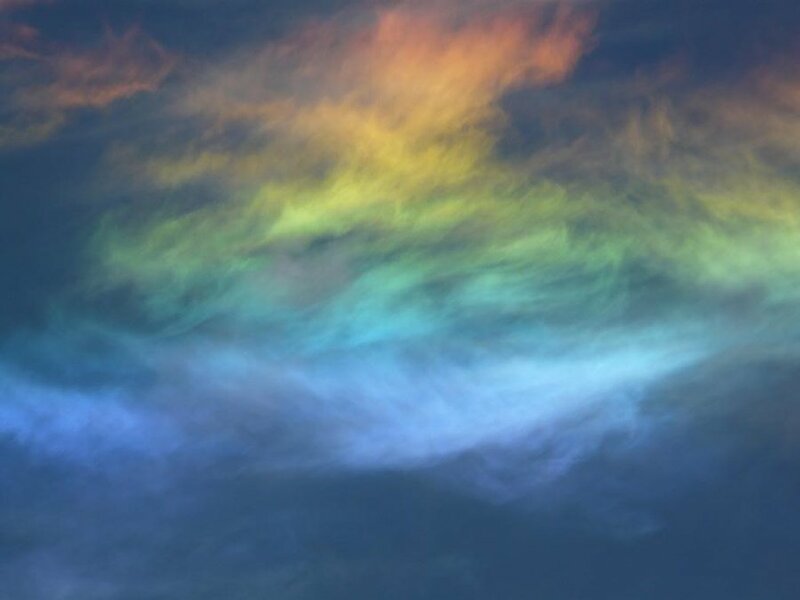 The absolute wonder of these spectacular events is that they can be very short-lived, rarely surviving beyond half an hour, simply because all of the factors involved must be just so before it can happen. 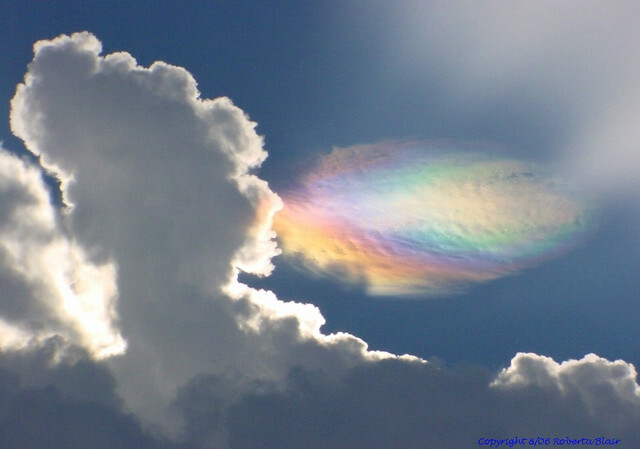 The following series of pictures were all taken in the USA, where you are most likely to witness these events.